Home » Guides » What are the advantages of playing bonanza Pai Gow over the standard Pai Gow game? What are the advantages of playing bonanza Pai Gow over the standard Pai Gow game? Bonanza Pai Gow plays the same as traditional Pai Gow except that it offers two additional bets that is the Bonus bet and the Tie bet. At Crown Casino in Melbourne this game is played with side bet for Pai Gow tiles. But why this game is popular and what are the advantages of playing bonanza Pai Gow over the standard Pai Gow game is given below for you to understand it better. Unlike the standard Pai Gow wherein pushes occur about 40% of the time, the Tie bet and the Bonus bet in Bonanza Pai Gow result in a decision every hand. Also, in standard Pai Gow the house edge is vastly reduced if the players bank every other hand, whereas the house edge on the Bonus bet and the Tie bet never changes whether the players bank or not. The player is eligible to win the bonus if any two of his four tiles can form a pair or Wong. Should his hand comprise both a pair and Wong, only the pair will be paid the bonus. Furthermore, if the player also plays the regular bet, the bonus will be paid no matter how the player sets his high and low hands. Unlike other new table games, Bonanza Pai Gow does not replace your existing Pai Gow game. Your regular patrons can still play the regular bet. So, your current revenues won’t be reduced but your profits will increase if they play the Tie and Bonus bets. As said in our earlier posts Bonanza Pai Gow was introduced at Crown Casino, Melbourne, Australia in January 2001 and now all of their six of their standard Pai Gow games had been converted to Bonanza Pai Gow. Bonanza Pai Gow increased their hold percentage vastly, achieving an increase of between $50 and $70 per table per open hour in comparison to standard Pai Gow games. Pai Gow has been regarded as an esoteric Asian game whose complexity intimidates other ethnic groups of players. But with the introduction of Bonanza Pai Gow has helped to fill the gap of this game at casinos and is now widely played among players. How to play Pai Gow at Crown Casino Melbourne- Click here. 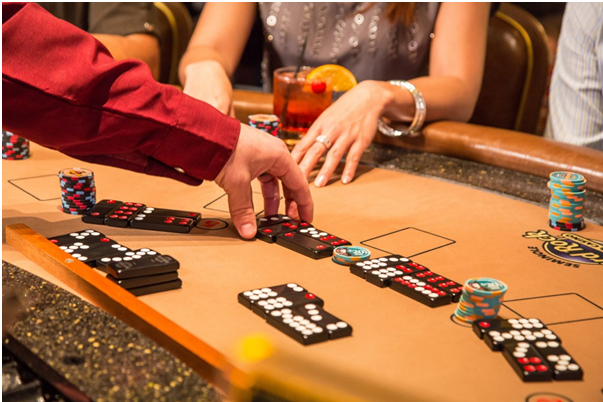 ← What is Bonanza Pai Gow and how it is played?